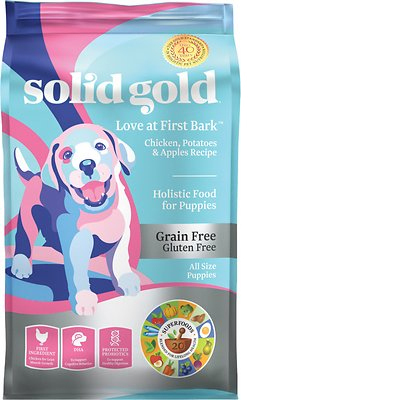 Solid Gold Love At First Bark is a mid-priced dog food with average quality. This product has 1 controversial ingredient, but no artificial preservatives, colors or flavors. It has a somewhat high amount of carbs, compared to its protein and fat content and the meat and fat quality in the food is mixed. 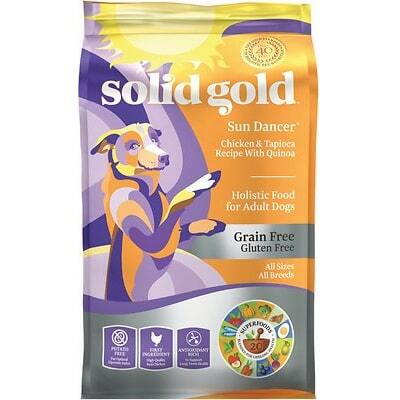 Solid Gold has a below-average number of recalls and was very transparent when answering our questions. The average dog food we reviewed has 39 total ingredients, with 1 controversial ingredient. This food has 1 controversial ingredient, more on that below. 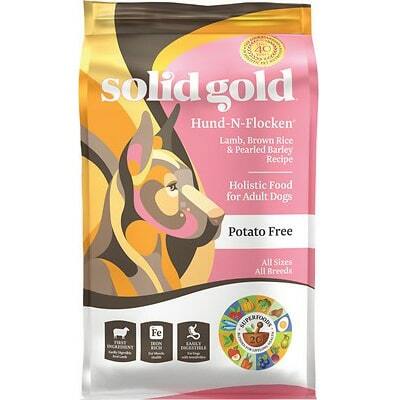 Solid Gold dog food is made in the USA - that’s great because of the high food manufacturing rules and regulations here. A variety of meats and oils can be found in this dog food. Let’s start with the transparent ones: Chicken, Chicken Meal, Chicken Fat, Salmon Oil, Almond Oil and Sesame Oil provide proteins and fat. All of them show very clearly which animals and plants they are made from, that’s how it should be. But then we also find Ocean Fish Meal on the ingredients list. That’s a lower quality ingredient, because it’s intransparent in which fish specifically it comes from. 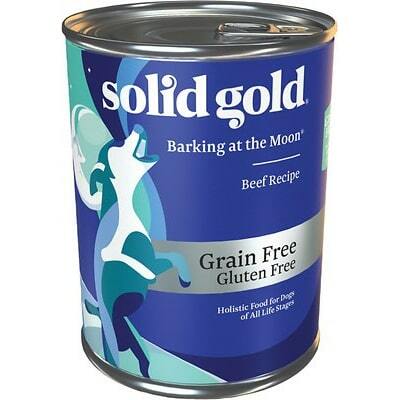 Solid Gold Love At First Bark uses 0 controversial artificial preservatives, excellent. It’s good to know that ‍not all artificial preservatives are bad. That’s because they serve an important purpose, which is to prevent food from spoiling. However, we consider 11 artificial preservatives controversial because of their potential link to cancer and other serious health conditions. Name could not be shared.